Julie's Pins & Needles opened for business in May of 2014, and we’ve been welcoming quilters of all skill levels ever since. 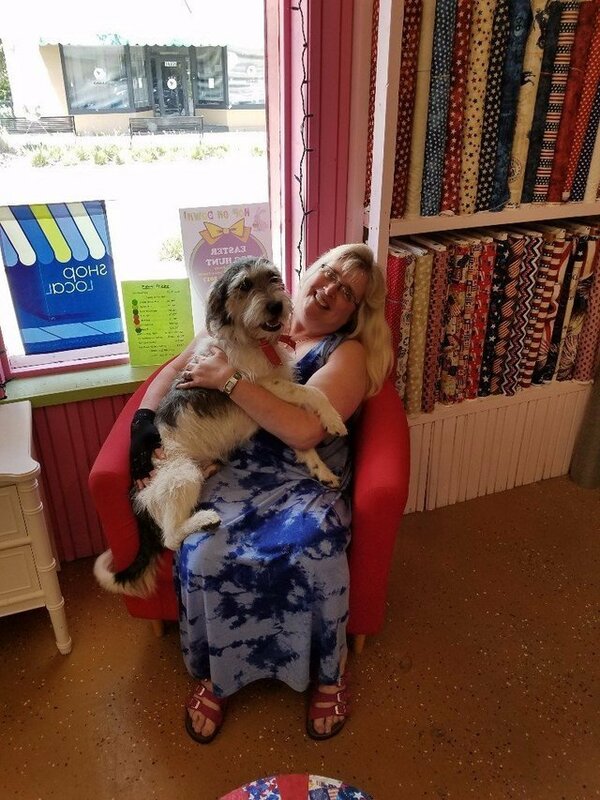 Owner Julie Tucker has been a quilter for years and sewing for as long as she can remember. She opened her quilting parlor with a goal in mind: to create a space for quilters to find supplies and also exchange ideas. Julie teaches beginner to intermediate quilting classes regularly. Whether you are looking to stock up on supplies, find inspiration for your next project, or sign up for class, we welcome you to stop by. We proudly serve the Gainesville, FL area with our quilting classes, quilt repair and much more. We’re open Tuesday through Saturday, and we look forward to seeing you! Interested in taking up a new hobby? Planning a quilting project? Looking to meet other quilters in the area? Julie's Pins & Needles is the perfect place for all of these. Our quilt shop is located in Alachua, FL and has a creative space open to everyone. From quilt supplies & repair to classes, we do it all!